Is WHMAutoPilot on a Comeback Tour?! 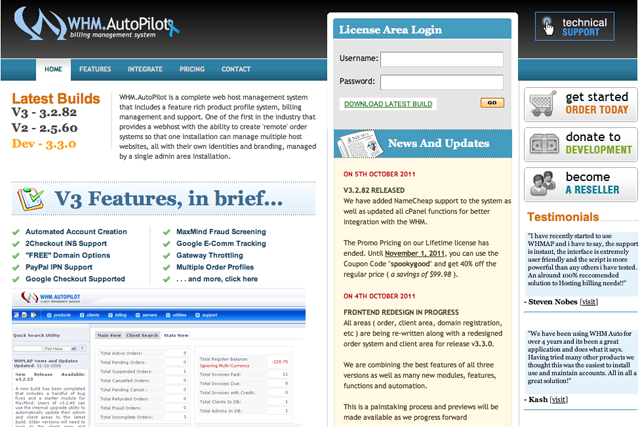 Until 2008, WHMAutoPilot was one of the top leaders in the billing software market. This all powerful billing system was once one of the very best in the business, but after 2008, the program essentially laid dormant. Users found themselves with minimal, if any, support, and most of the WHMAutoPilot website’s features didn’t even work. It became nearly impossible to purchase a working license for the product as well. Unfortunately for the program’s developers, this pushed many people away from the product they loved so much and towards alternative software that offered better support and more upgrades. For those who miss the innovation and ease of use that WHMAutoPilot represented, the good news is that the company recently released version 3.2.80. Better still, WHMAutoPilot has confirmed that the billing system is currently being redesigned. The goal is to help make the system considerably more powerful. The goal for developers is to actually rewrite, redesign, and rethink the entire approach of WHMAutoPilot. This certainly offers hope for those still using the system, as well as those who turned away only reluctantly. The question, however, is whether users are willing to come back to a company that many feel simply abandoned them. Will WHMAutoPilot be able to pick up where they left off, regaining their momentum and their market share? With the new version still under development, it is certainly too early to answer this question just yet. WHMAutoPilot 3.3.0 will certainly give us a good idea of where the company intends to take the product and what direction they will be heading in, but the overall success of the product is just as dependent on whether or not the company will be able to regain its consumer base. The future of WHMAutoPilot is still unknown, but many are anxiously waiting to see what 3.3.0 will have in store. Blesta – Completely Revitalized from the Ground Up! The improvements to the Blesta billing system are pretty widely known, and Blesta 3 is one of the most exciting releases that the company has ever unveiled. In the past weeks and months, the developers have been redesigning the interface, the API capabilities, and the authentication features among many other elements. Blesta 3 is really taking out the stops by making it more modular and scalable. The difference between previous versions of Blesta and the new version is that Blesta 3 is built upon an open-source framework. The new version of Blesta will require a double authentication procedure that involves two distinctive factors: username/password and physical token. This gives a multi-faceted approach to security and keeps servers and accounts safer by using a dual-method. 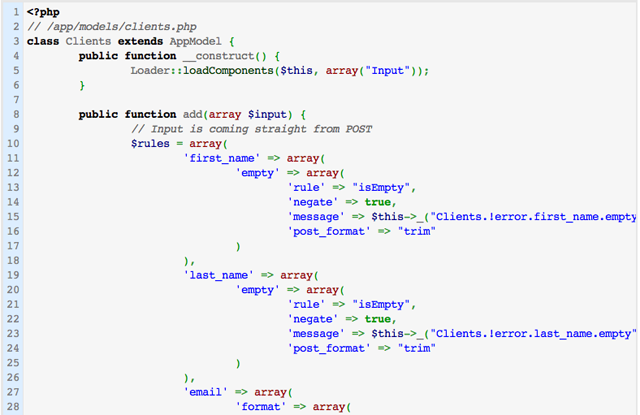 The API features has also been updated and expanded to include a more functional and usable model of the former Blesta API. Making Blesta more open source is a great feature for anyone that wants to develop new plug-ins or elements for the billing system program. Blesta has taken a couple of things very seriously when developing and redesigning their billing system software, and the most important are ease of access and security. Anyone is able to access the billing system from any location, and the security features are some of the best in the billing system industry. These are some of the reasons why Blesta Version 3 will be an all encompassing API, which will allow end users to do virtually anything via API that they would be able to do while they were logged in to the billing system. Additionally, when it comes to security, the RSA two-factor security is hard to break if not nearly impossible. Using two-factor security to protect their billing system, Blesta is now leading the crowd when it comes to advanced security features. The Blesta team loves to surprise their clients with the most innovative features and improvements, and the new version of Blesta 3 has been kept hidden so that the release will gain the most enthusiasm and support when it is unveiled. Blesta 3 is potentially one of the most impressive billing system software programs to hit the market in a long time. The Blesta 3 billing system is threatening to shake up some of the major industry leaders, WHMCS and ClientExec. 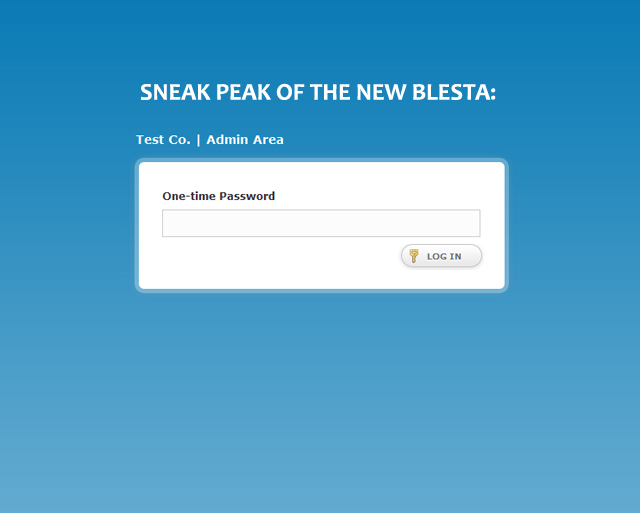 Although we did find out a few of the new features, Blesta 3 is still going to be a big surprise. One of the new features offered on the billing system software is an easily changeable design that fits in to your needs with just the click of a button. WHMCS and ClientExec are going to have a hard time keeping up if they don’t come out with a product that has similar features to this version of Blesta. You no longer have to spend countless hours programming the software, you can simply select a few options and the interface will be customized so that it will lead to the most productivity for your business. Another rumor is that the new form of Blesta will support multiple forms of currency, and this is another aspect that will set it apart from WHMCS and ClientExec. This is a rumor that is circulating about the program, so please don’t accept it as fact, but it is interesting to think that a billing system will be able to use multiple forms of currency. The upgrade to Blesta 3 will be available to any of the Blesta 2 users for initial beta testing, and this is uncommon for Blesta to do. They added this new feature to make it easier for their existing clients to upgrade and use the more advanced version of their products, while new users can go through licensing Blesta to obtain the best features on the market. The ClientExec team is so dedicated to customer satisfaction that they have been working tirelessly over their new billing systems software release – ClientExec 4.1. There are many exciting new features that you can expect on the new release, and the developers have taken months to program, design, and re-engineer the billing systems software to meet the needs of their clients. Their masterpiece is about to be released, and many people are looking forward to seeing what this new ClientExec 4.1 software will have to offer. The ClientExec team has given a sneak peak into some of the new features, for example, stock control, powerful product handling, a team calendar, and a more intuitive interface. ClientExec has been one of the most powerful billing systems ever created, and with the new features, the speculation and excitement over the new release continues to rise. The expanded functionality of the program shows the innovative steps that the ClientExec Company is taking to increase the functionality and usability of their billing systems software. It has been one of the most popular programs for hosting billing systems, but now that it has been improved, the possibilities for using the software are even broader. This is something that other billing systems have not done, and licensing ClientExec is setting new standards in the hosting billing systems industry. The countless features and extensive extras on the ClientExec 4.1 program make the program even more appealing. ClientExec 4.1 is expected to be a massive success, and they are blowing the hosting billing systems competition out of the water. While the release date for ClientExec 4.1 has yet to be revealed to the public, the speculation is that the stable version is going to be released in as little as 3 – 4 more weeks. So hold your breath as the new billing systems software hits the market and takes the industry by storm! ClientExec 4.1 Alpha to 4.1 Beta! ClientExec has recently experienced another new update with a lot of exciting features. The groundbreaking release of the 4.1 Beta takes into account some issues that were arising with the earlier version of ClientExec. The billing system ClientExec has seen a migration from Alpha 4.1 to Beta 4.1, and although it may not sound like a big leap, it is one of the more advanced flagship versions of ClientExec 4.1, so it is definitely worth taking notice of. The vast amount of improvements give testament to the meticulous way that the developers of the software maintain the integrity of their program by constantly adding new features and using feedback from their customers to create a better, more well-rounded product. The ClientExec billing system has long been known for it ease of use and the many added benefits and features that allow you to automate and customize many aspects of your current billing system, but now the ClientExec 4.1 Beta edition is becoming a staple of the market with its advanced technology seamlessly integrated into an already outstanding piece of software. Licensing ClientExec is stable as far as a billing systems are concerned, and it has been completely streamlined so that all of the updates and improvements integrate effortlessly onto the existing interface. One of the major improvements to the system is the way that ClientExec handles domain name services: domain registration, domain updates, and pricing features. In previous versions, it was more difficult to manage the overall product, and the new improvements to ClientExec have made it much easier to use. Other features on the new ClientExec 4.1 Beta include updates to the dashboard including stylized widgets, a customized “Today at a Glance” plug-in, the option to bundle products, and a more intuitive system for resellers to acquire new licenses directly from the ClientExec billing system software. Overall, the additions have paved the way for even more enthusiasm about the new, improved ClientExec billing system program.